Founder and owner of New Hopetoun Gardens, RHS Council member, and past President of the Horticultural Trades Association. Gardener, Editor of the Professional Gardener magazine and former Secretary of the Professional Gardeners’ Guild. Horticulturist and educationalist. 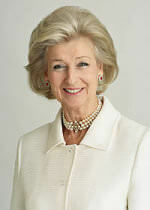 Former Principal of Pershore College. 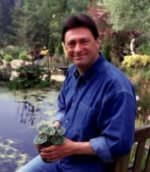 Freelance garden writer, author and TV presenter, involved in garden retail. Lisa chairs the External Affairs committee dealing with marketing and fundraising. Past Master of the Worshipful Company of Gardeners, former Chair of the City of London Open Spaces Committee and keen gardener. Owner of a landscaping business, former garden centre owner and past President of the Horticultural Trades Association. Local radio broadcaster. Social worker and retired Regional Director of Barnardo’s. Chairman of Perennial’s Policy and Services Committee. Investment manager, Managing Director of Investec Wealth & Management Ltd.
Marketing Consultant with wide business and charity experience. Chief Executive of the Horticultural Trades Association. Social work and child care expertise including as Director of Children’s Services. Honorary Treasurer. Retired qualified accountant with extensive business experience. Chairs Resources Committee dealing with finance, investments, etc. Principal and founder of Ovation Business Consultants, working in the land-based sector since 1977.